Always searching for anything with a hint of magic. 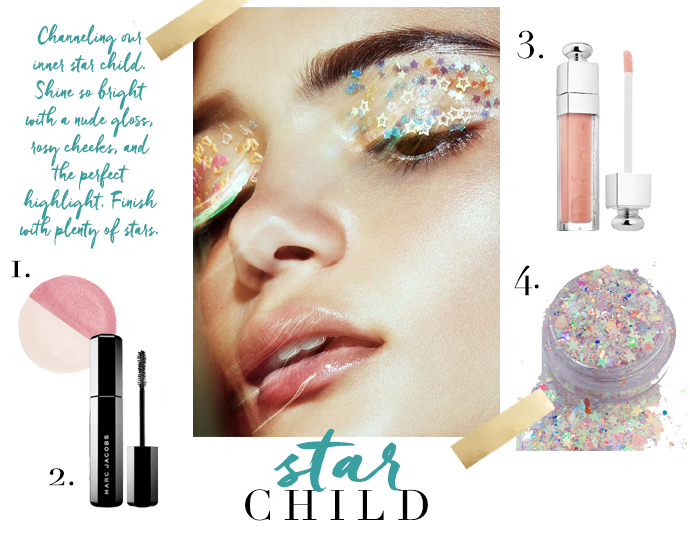 Bring this look to life with By Terry Glow Expert Duo Stick, by far the coolest combo of blush and highlight. Pair with a nudey-pink shimmer lip, my fave being the Dior Addict Lip Maximizer Plumping Gloss in Apricot. Add a swipe of volumizing Marc Jacobs Mascara and finish off with all the stars. In iridescent pink, blue, silver, and gold of course.